If you’re a fan of Shark Tank, or indeed pitch events in general, you’ll already be familiar with the format. Fledgling companies or entrepreneurs take to a stage to explain their ideas to potential investors in a bid to try and score some cash. It’s an approach that seems to be popular with both investors and startups – investors gain the chance of ‘getting in on the ground floor’ and entrepreneurs have the possibility of securing that important early investment and potentially even a mentor. While it’s common on TV and at startup events, there hasn’t been a podcast that delivers for both sides of the equation until now. 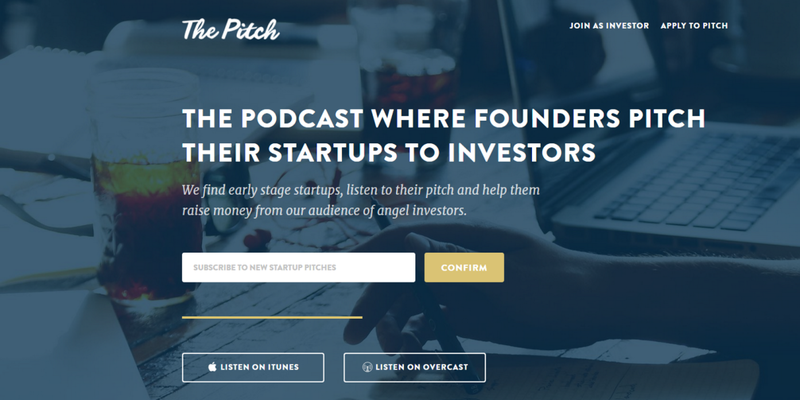 The Pitch, co-founded and hosted by Josh Muccio (who also runs the Daily Hunt podcast) aims to capitalize on the winning formula to appeal to investors and startups. The other founder is Sheel Mohnot, an active angel investor. The first episode is available to listen to now and new episodes (pitches) will roll out every two weeks. Muccio says he’d like to make it once per week eventually. “Startups want to raise seed funding quickly and efficiently, Angel investors are looking for deal flow they haven’t seen before. Shark Tank is popular, podcasts are becoming more popular, startups are becoming more popular. We merge all three, and find companies actually raising angel money to come on the show and pitch the audience. 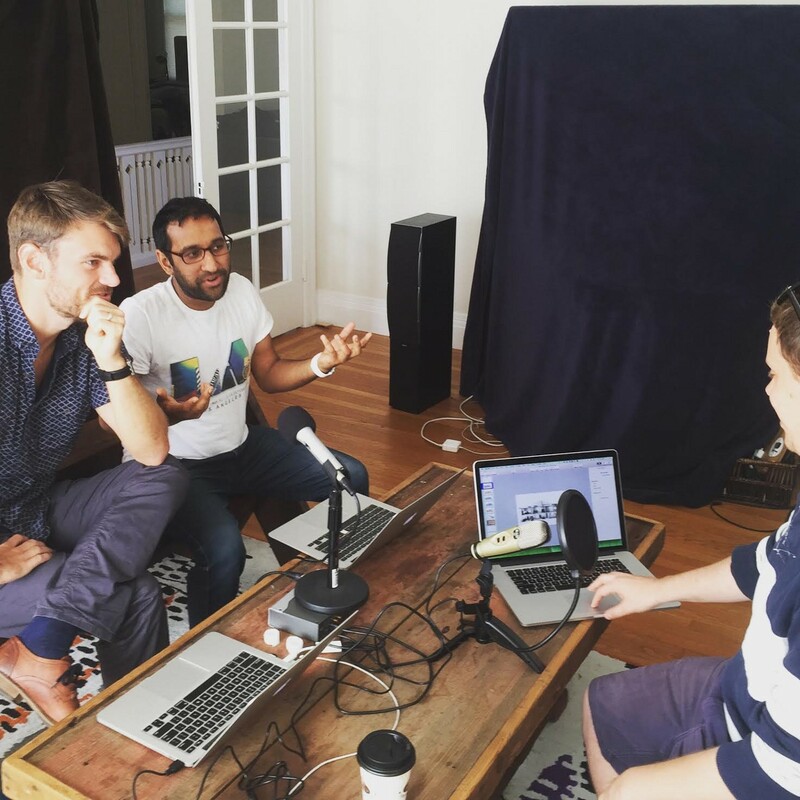 The podcast format allows angel investors to look at deals during their commutes. The show is only looking for cash from accredited seed stage investors and is also “[trying] to find investors who would be likely to invest in the particular startup we’re featuring. Flair, for example: we tried to find investors who had invested in IoT/hardware before,” Muccio says. The Pitch is looking for companies that it thinks will be successful in raising the initial money (whether they come on the show or not) and subsequent rounds. “Obviously there are a lot of intangibles there. Ultimately we hope that we’ll be able to find hidden gems that would normally have a tough time raising money and give them a spotlight on the show,” Muccio adds. There are no formal thresholds in place for the size of investment, though as it’s focused on early stage funding, Muccio expects most to be in the range of $500,000 and $5 million. The elephant in the room, of course, is what does The Pitch get out of this? Muccio explains how he hopes to monetize the show in the future. “We will eventually monetize the pitch with some sort of sponsorships. We aren’t sure what form that will take exactly, we are open to unique sponsorships that truly benefit our listeners. We’ve even played around with the idea of taking the revenue from ads and re-investing a large percentage of that back into the startups that come on our show. We’d have to hit a large number of downloads for this to become feasible, but we’d really like to actually back some of the startups that pitch on our show. Whether or not The Pitch will manage to unearth the “hidden gems” remains to be seen, but combining trending content formats is a pretty safe way to test the concept. It won’t just be tech, either, if Muccio gets his way. You can listen to episode 0, titled ‘Why The Pitch?’ below or check out episode 1 via The Pitch website.